Just when you thought you had seen it all, along comes Scottish Highlands with the first twelve (12) hole golf course in the region. Why 12 you ask? Well, we figured that many people find 18 holes too much and 9 holes just not enough so we thought 12 would be the perfect number to make for a very enjoyable and relaxing round. 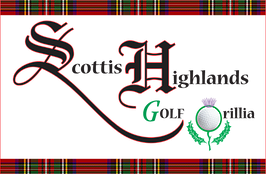 Enjoy 12 holes of golf at Scottish Highlands! With amazing facilities and staff, you are sure to have a great experience!